Republicans had the individual tax expire over a decade to prevent going above a $1.5 trillion increase in the federal deficit over 10 years—but with the expectation that Congress will vote to extend the tax cuts when they begin to expire. Many observers consider it unlikely that Congress will allow a giant tax hike to expire for a majority of Americans. 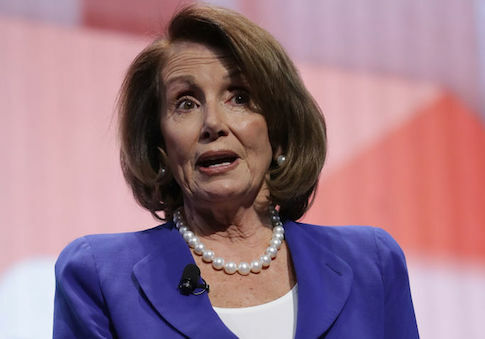 "Pelosi is not as careful as other Democrats to make clear she is talking about something in the future," the Post wrote. "Given past performance by Congress, we would be shocked if lawmakers simply let the tax bill run its course and allowed it to raise taxes on tens of millions of Americans," the Post added. "Moreover, it is important for Pelosi to signal to her listeners that she is not talking about this tax year, when many will receive tax cuts. So she earns two Pinocchios." This entry was posted in Issues and tagged Fact Check, Glenn Kessler, Nancy Pelosi, Tax Reform, Taxes, Washington Post. Bookmark the permalink.